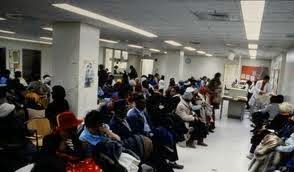 Romney care in Massachusetts increased emergency room visits and doctor wait times. Obamacare will be no different. It wasn't supposed to work this way, but since the Affordable Care Act took effect in January, Norton Hospital has seen its packed emergency room become even more crowded, with about 100 more patients a month. That 12 percent spike in the number of patients — many of whom aren’t actually facing true emergencies — is spurring the hospital to convert a waiting room into more exam rooms.